Click on the event title, View Details of the REGISTER link. Due to our requirement for collecting participant information, the system is limited to registering one person per transaction. Please register for events so that hosting mountains are prepared for the group. Mountain Travel and Rescue (MTR) level 1 course is a prerequisite for MTR2 and is an elective course for NSP patrollers that have an interest in becoming knowledgeable in backcountry travel and rescue procedures. This course is also open to the public with the same interests. The MTR1 course is made up of 16+ lesson topics. These lessons cover topics including Personal Survival, Knots, Back Country Hazards, and Search and Rescue skills. These are all reinforced with an overnight camping exercise and field exercises for Navigation, Emergency Rescue Techniques, and Search and Rescue Basics. The daily schedule will be available at the class. There are no prerequisites, and the program is open to both NSP Members and non-members. Students are required to obtain the textbook which is available in paperback or digitally: "Mountain Travel and Rescue" 2nd Edition by NSP. Click on the following bookseller's links to acquire your book: Mountaineers Books, Amazon Books, or Barnes and Noble. Pre-course assignments will be emailed a couple of weeks prior to the start of the course so sign up early to prepare and get your camping gear together. 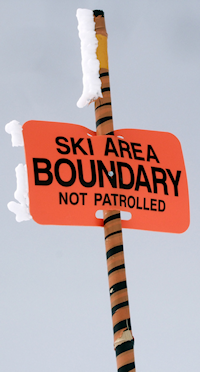 National Ski Patrol's student course credit registration has changed. After registering and paying for this course on this site, you will receive an "Email Receipt" with additional instructions for NSP.ORG's credit registration.